If you need to make funeral plans for someone who has died in your family, consider getting professional help. It can be difficult for anyone to make arrangements for a loved one's death and it would be a good idea to find an expert to assist you. 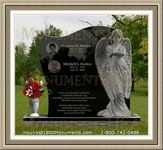 Memorial providers have directors who can help you. Your first task should involve making calls to friends and relatives of the deceased. You or a funeral director can do this. Typically a family member of the departed is assigned to perform this task. Make sure that the one making calls contacts all close relations and friends of the person who died. 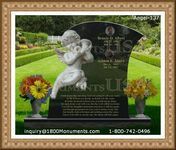 Once you have found a reliable memorial service provider, you and family members need to discuss how the bills will be paid. If the deceased has assigned an executor for his estate, then that person can take care of all the expenses. Typically family members divide the interment tasks and preparations between themselves. Immediate family members need to ensure that the certificate of death is prepared and completed. Your interment service will need this along with other details. The memorial director will give you options to choose from regarding the choice of casket, embalmment methods, and whether cremation or a burial is in order. During the preparations, you need to set visitation hours for the interment. Most people allow people to come visit their dead during the day but some also accommodate guests at night. Many visitors come in the evenings after work. You can also choose to make the service a totally private one for close family members and friends only. There are more things to arrange such as the flower arrangements, the eulogy, and transportation to the grave site. A professional provider can help you with all the funeral plans. The service is there to assist families who need all the help they can get at such a sorrowful time.